These Building Block 1oz Silver Bars are designed specifically for stacking and building, and are reminiscent of the popular children's building blocks toys. 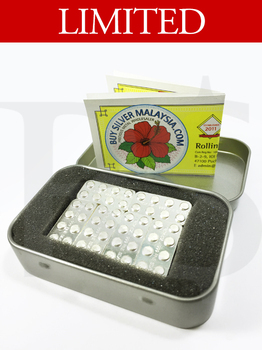 This starter pack contains 6 x 1oz bars, packaged in a metal storage tin. Each bar weighs 1 Troy Ounce and is .999 Fine Silver. FREE Town Talk Anti-Tarnish Silver Strip, storage tin and a pair of hand glove.